Situated, not surprisingly, in the Rhiw Valley on the B4390 between the villages of Berriew and Manafon. “Monty” 0-4-0 Diesel Shunting Engine outline powered by a petrol engine out of an Austin Mini. The railway is currently being maintained and operated by a small team of volunteersand remains in the ownership of the Woodroffe family. The railway is not open to the public on a daily basis but does open for Open Days and private bookings. 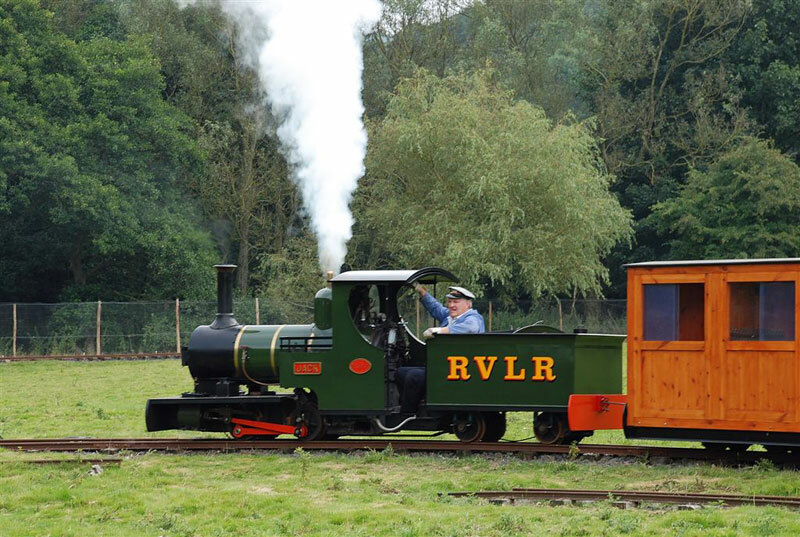 The railway is built to 15” gauge and runs for approximately ¾ mile round Lower House Farm alongside the River Rhiw. Maintaining and developing a railway of this size is a big commitment and we would welcome other like minded enthusiasts to join our very small group of volunteers to help us maintain and carry out our ambitious expansion plans.